While Larry Krueger should seldom be questioned when it comes to draft predictions and future 49ers, the peak of free agency has come and gone, and adjustments needed to be made. Separating himself from the pack, Krueger thinks that the 49ers will bolster the interior defensive line, pairing Williams with Pro-Bowler DeForest Buckner, instead of addressing the edge with guys like Nick Bosa or Josh Allen. After watching the tape and analyzing his game, Larry thinks that Quinnen Williams is more than just a big body in the middle. 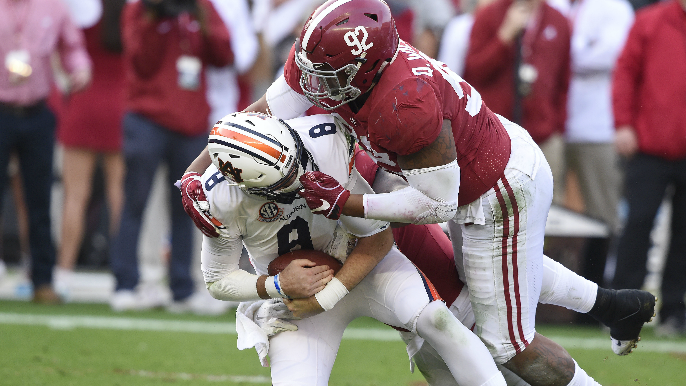 The addition of Dee Ford is sure to improve the pass rush, and Kruger thinks that adding a talent like Williams would make the 49ers defensive line, both the interior and the edge, a formidable unit for years to come. One of the main concerns for the 49ers going into last season was the lack of offensive firepower, especially the weapons at the wide receiver position. When you have a franchise quarterback like Jimmy Garoppolo, you need to surround him with weapons, and Larry thinks the 49ers will address that problem in the second round with A.J. Brown. Going for over 1,300 yards and six touchdowns last season, Brown hopes he can continue his success at the pro level, and Larry thinks it will be in the red and gold. 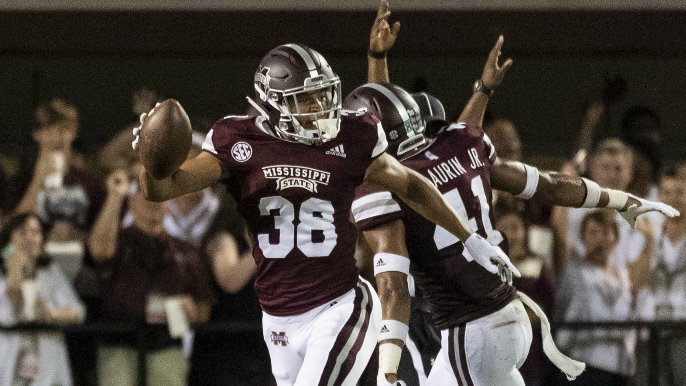 While the 49ers added help to the edge via free agency with Dee Ford, Krueger thinks the 49ers aren’t stopping there, and have them taking Jordan Brailford in the fourth round. A physical freak, Brailford could be another piece in what seems to be shaping into one of the best defensive lines in football. 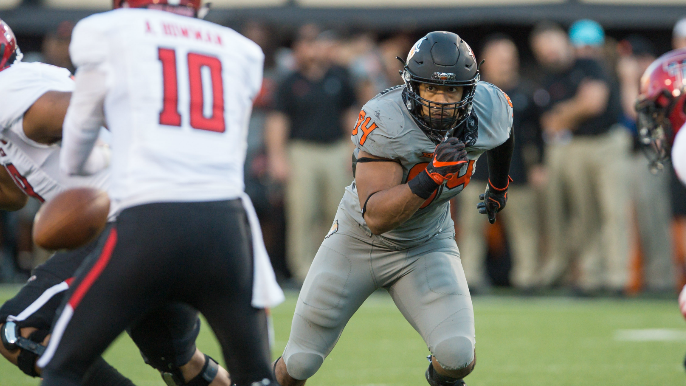 “(Brailford) led the Cowboys last year with nine sacks as well as 16 tackles-for-loss. He ran in the 4.5’s, and is a terrific edge player. 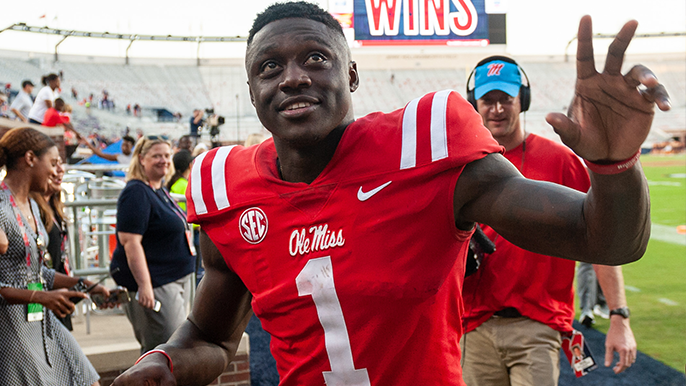 He’s a guy that is kind of beneath the radar and might still be there in the fourth round, but he is the total package. 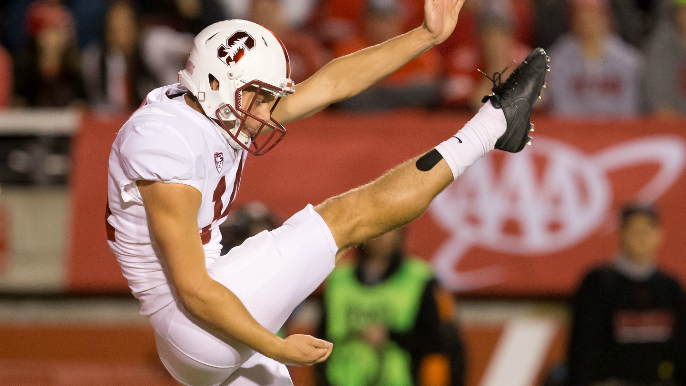 With the departure of punter Bradley Pinion, Krueger thinks the 49ers will fill that need in the sixth round of this year’s draft. 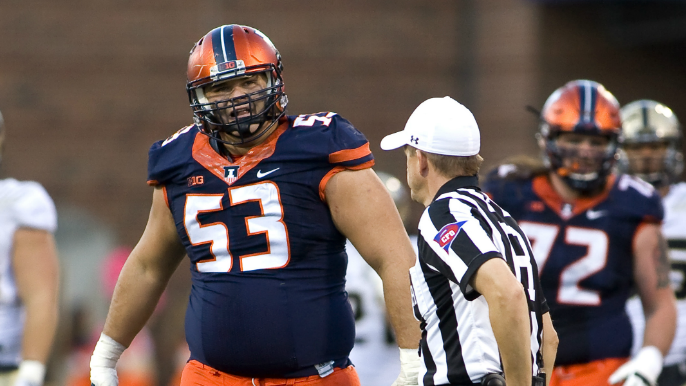 It’s never a bad idea to stock up on offensive line talent, and Larry thinks the 49ers will take a flyer on Illinois center Nick Allegretti. He may not be the most highly touted prospect, but Krueger thinks that Allegretti is the type of guy you want in your foxhole when things get dicey. Larry will be be mocking the entire 49ers draft up until the actual event on April 25. Be sure to check back in at KNBR.com for more mocks in the lead up to the big day.